HomeNetanyahu Left Palestinians With No Choice But the U.N.
Netanyahu Left Palestinians With No Choice But the U.N.
With all the tension between Israel and its neighbors, the expected vote in the United Nations on Palestinian statehood will be a dangerous confrontation. There’s no telling how the Palestinians and the rest of the Muslim world will react afterward, or how Israel will react, either. It would be better for all concerned if this matter had never gone to the U.N., if instead it had been negotiated between the two sides. That’s what Prime Minister Benjamin Netanyahu has been saying, and that’s what he’s expected to tell the U.N. He blames the Palestinian Authority and its president, Mahmoud Abbas, for refusing to talk peace with him. He’s got it wrong, though. Blame for the absence of negotiations, for the long paralysis in the peace process, doesn’t lie with Abbas. It doesn’t lie with both sides, either. It lies entirely with Netanyahu and his government, and the popular Israeli majority that supports them. What’s changed? Everything. Netanyahu’s whole approach to the peace process is that the Palestinians have to forget the ballpark offers that Barak and Olmert made them, forget nine years of intermittent progress in peace talks, and start all over again at square one in negotiations opposite him and his right-wing government. This has been his message to the Palestinians since he took office two and a half years ago: Whatever Barak and Olmert offered counts for nothing now. Barak offered the Palestinians 95% of the West Bank and a capital in Arab East Jerusalem, and Olmert offered them more of the West Bank and more of Arab East Jerusalem — but that’s all vanished now. And here, said Netanyahu, is the new starting point: Nothing. Not 95%, not 0.95%, nothing. And about Arab East Jerusalem, here’s the new starting and ending point: All of it belongs to Israel. This is the offer to which Netanyahu insisted that Abbas respond — after the offer from Olmert, long after the offer from Barak. Abbas said no. And can any reasonable, fair-minded person blame him? Would anybody negotiating the sale of a house, let alone the creation of a state, agree to forget the substantive offers the other side had made him in the past and to start negotiating from zero? No, no one would. And make no mistake — nothing is what Netanyahu’s offering. He keeps saying that he’s ready to accept a Palestinian state, but where? Unlike Barak and Olmert, this Israeli prime minister has never committed himself to anything specific. He has never agreed to withdraw from any settlement, to give up any square inch of land. The only number he has mentioned is zero, which is the amount of Arab East Jerusalem he’s ready to give the Palestinians. And nothing’s changed since he took office: That was his offer then and now. President Obama and European leaders have implored him to negotiate on the basis of the 1967 borders with land swaps — the essence of the post-Camp David “Clinton parameters,” and the unofficial basis of Olmert’s 2007–8 negotiations with Abbas. Until this past August, by which time the die had been cast, Abbas made repeated offers to forgo the U.N. bid if Netanyahu agreed to base negotiations on the 1967 borders with land swaps and to freeze settlement construction for a few months. Forget it, Netanyahu said: We negotiate from square one, or we don’t negotiate. So when he speaks to the U.N. this week, Abbas will make good on his threat to take the case against the Israeli occupation and for Palestinian independence to the world body, where the Palestinians are sure to win a moral victory while Israel is left to defend the indefensible. Again, can anyone blame this Palestinian leader? This is not terrorism he’s engaged in, it’s diplomacy. After taking over the P.A. shortly after Yasser Arafat’s death, in 2004,, Abbas has been speaking out constantly against violence, ordering his security forces to keep the peace, which they’ve been doing exceedingly well in close cooperation with the Israeli army and Shin Bet. But these are dangerous times. And Palestinian impatience could ramp up after this week. If there are protests, if there are angry marches, and if Israeli troops or settlers kill even one Palestinian things could get bad. Beyond the West Bank, Gaza and Arab East Jerusalem, such scenes would not play well in Egypt, Jordan, Turkey or other Muslim countries. It never should have come to this. Relations with a leader like Abbas should not have deteriorated to this point. The peace process shouldn’t have had to go to the U.N. Israel has a Palestinian partner for peace talks, and this time it is Israel, God help us, that has missed the opportunity. 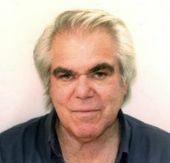 Larry Derfner is a writer living in Israel. He also blogs at +972 Magazine. This story "Netanyahu Left Palestinians With No Choice But the U.N." was written by Larry Derfner.